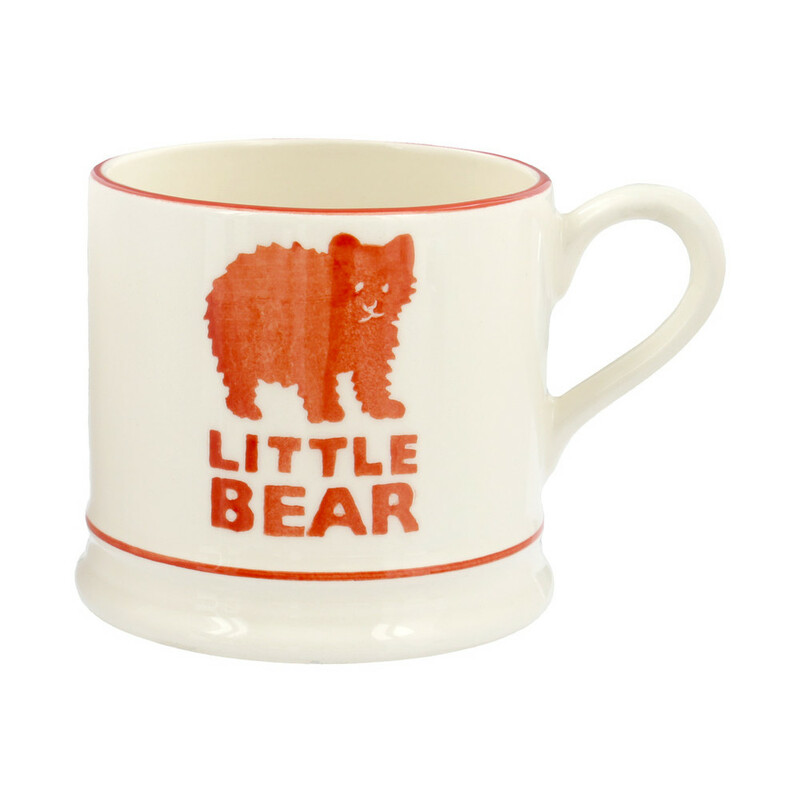 Little bears grow up fast so while your little 'un is still little enough to love lots of bear hugs, our Little Bear Small Mug makes a grrrrreat present. 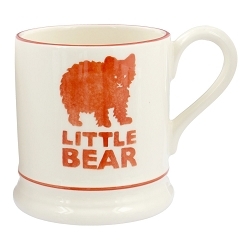 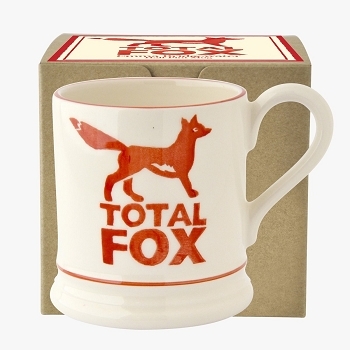 All Emma Bridgewater pottery is made from cream-colored earthenware ñ a traditional Staffordshire product which they make in their own factory in Stoke-on-Trent, the home of British pottery. 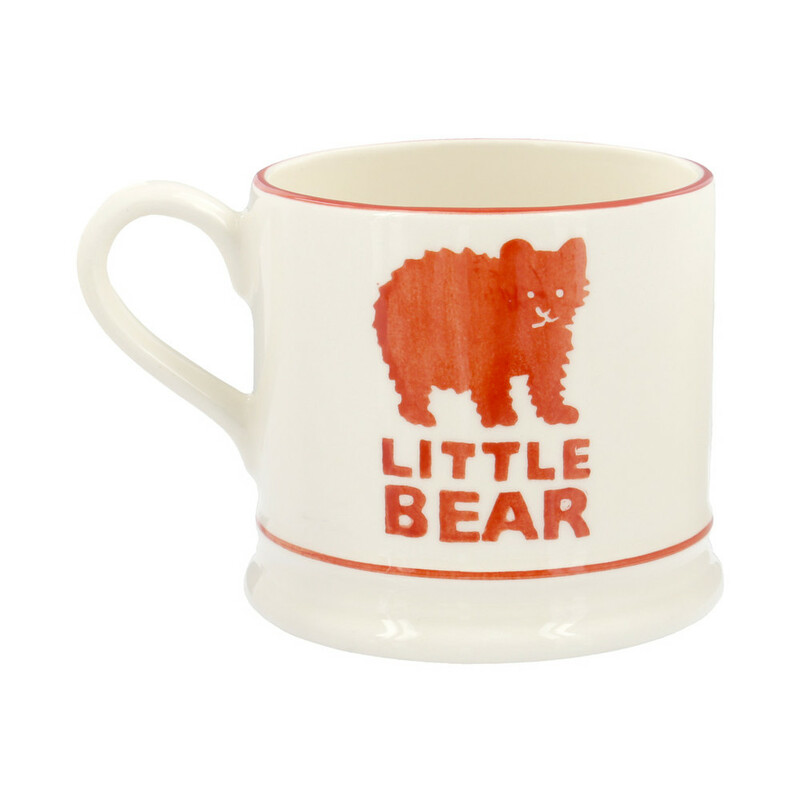 Most of the production work is still done by hand, and all the pieces are individually hand-decorated, so every one is very slightly different ñ and their sponge ware is always signed by the person who painted it.